Getting in front of people to give a talk is not easy for many. Some even say they fear public speaking more than they fear death. However, speaking in public is easier than you might think, especially if you focus on the strongest subject matter for you. Equally as important is having a clear message, and making sure you keep it to the allowed time. Over the past few months, I have attended meetings, conferences, commencements, workshops, and seminars. These experiences have provided opportunities to observe speakers in action. Some were excellent, others were mediocre, and a few not so good. To be effective, you must focus both on your message, and the ability to engage your audience. In other words, the audience should dictate your approach. #1: Tell them you were just recently given this speaking assignment. A big turn-off for the audience is when the speaker says the following: “Okay! I hope this goes well. My boss told me yesterday I had to do this!” While that comment might seem humorous, it’s unprofessional. The audience is excited to hear your message, and it’s your job to step up to the plate. You might be asked to speak with little lead-time, and it’s your responsibility to deliver an excellent message. You shouldn’t seek sympathy from anyone. Regardless of the time you have to prepare, do the best you can. More important, avoid communicating to the audience that you are unprepared. #2: Spend too much time reading from the script. It’s acceptable to have notes when you speak. I usually jot down the key points that will be discussed, and fill in the rest of the talk with personal and professional experiences. I understand there are times when you must read every word from the script, such as an important announcement from a company president. However, most speeches do not require a verbatim delivery. I’m unsure of the science, but I do know that you lose the audience’s attention when you look down to read your notes. If you read more than a sentence before re-establishing eye contact, it might be a long speech. #3: The speech turns into a lecture. I know very few people who want to be told what to do, especially in public. You should also avoid making others feel inferior. The fact is that most people are looking for knowledge and information that will makes them better, and not necessarily for reasons why they have fallen behind. It’s better to focus on how they can identify and overcome obstacles. 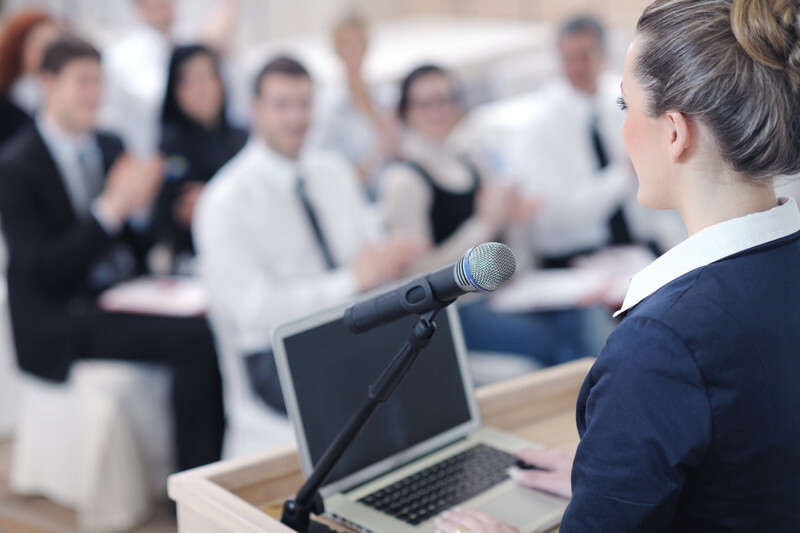 The message can be forthright, but the speaker must ensure the delivery is positive, encouraging, and professional. In other words, you don’t want them to feel like losers. You want hope. There are many options available to improve your public speaking skills, including a university class or Toastmasters International. However, you can make improvements on your own. Good advice includes speaking about a subject on which you are an expert, using a bullet list to recall main items, maintaining excellent eye contact, meeting the timeframe, and most importantly, making your audience feel important.